• Must be on an area of body accessible to the person to injure themselves. • Regular with an equal depth at the beginning and end (for cuts). • Regular and similar in style or shape (for scratches, burns, etc.). • Parallel or grouped together. 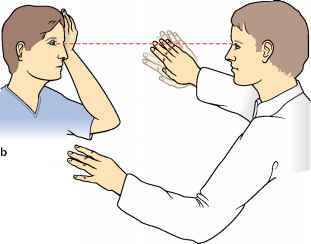 • In right-handed persons, the injuries are predominantly on the left side (and the converse for left-handed individuals). • There may be lesser injuries where initial attempts at self-harm are made (tentative scars). • There may be old scars of previous self-harm. • There may be a psychiatric history. self-harm. Individuals injure themselves for numerous reasons, including psychiatric illness and others, such as attempting to imply events took place that did not or for motives of gain. Self-inflicted injuries have several characteristics, which are not diagnostic but that together may give an indication of self-infliction. Table 4 lists features that may assist in the recognition or suspicion that cuts or other injury, such as scratches, are self-inflicted—all or some may be present—their absence does not preclude self-infliction nor does their presence necessarily imply self-infliction (2).